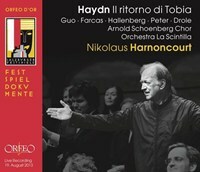 This unique performance of Haydn's biblical oratorio Il ritorno di Tobia, which is so rarely heard, is thanks to an unusual gift: the orchestra La Scintilla, which was founded as an 'original sound' ensemble comprising musicians from the Zurich opera orchestra, and which awarded Nikolaus Harnoncourt honorary membership. The honour included the opportunity for Harnoncourt to choose a piece of music which he could then perform with the orchestra in an ideal atmosphere. 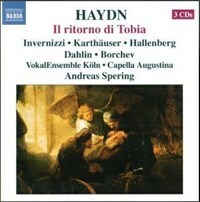 Harnoncourt surprised everyone by choosing Haydn's virtually unknown oratorio based on the apocryphal Bible story of Tobias (Tobit), who goes on an adventurous journey with the angel Raphael in order to heal his blind father with the angel's help. In keeping with the spirit of the subject matter, the proceeds of the concert were given to a charity supporting war victims of Sarajevo. The work was performed under Harnoncourt's direction with an ideal line-up of soloists (Ann Hallenberg, Valentina Farcas, Mauro Peter, Sen Guo and Ruben Drole) and the magnificent Arnold Schoenberg Choir at a 2013 Salzburg Festival concert in the Felsenreitschule. 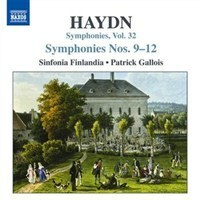 This Orfeo release of the live recording, which is almost devoid of background noise, is only the third-ever recording to have been made of this very seldom performed Haydn oratorio in the history of phonography. 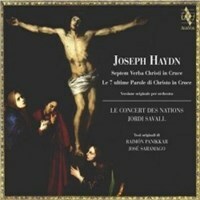 Yet again one is moved to ask why so many of Haydn's operas and oratorios are so rarely played. 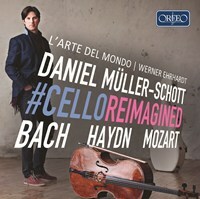 Viewed objectively, Il ritorno di Tobia is in no way inferior to Haydn's better-known oratorios, The Creation and The Seasons. Om du tycker om Il Ritorno di Tobia, berätta det gärna för dina vänner! Du kan snabbt och enkelt dela denna sida direkt på Facebook, Twitter och via e-post här nedanför.